Open Book, Minneapolis. Image courtesy of Terry Dawson/Flickr. It’s possible, though, to create a physical space that brings writers and readers together to share the transformative power of storytelling. That can look like a library—or it can look like Open Book, with its theater-style marquee beckoning Minneapolis denizens from all walks of life to come in and explore the world of words. Open Book is a hub of the Twin Cities’ literary life and an inviting space for literary projects. The facility is a path-breaking collaboration among three nonprofit organizations: the publisher Milkweed Editions, the education-oriented Loft Literary Center, and the Minnesota Center for Book Arts (MCBA). It took all three organizations, with the help of some heavy lifting from civic leaders and varied donors, to create Open Book: a space that supports the local and national literary communities, making the three more than the sum of their parts. Beyond Open Book’s inviting entrance, a high-ceilinged space with exposed brick walls and wood beams features a coffee shop and a Milkweed-run bookstore, as well as the entrance to MCBA’s gallery space and gift shop. A staircase offers access to a second-floor space with classrooms, public gathering space, and offices. Even more spaces are on a third floor. Open Book is a destination for book lovers who come in from as far as the outer suburbs, from greater Minnesota, or even from across the country to meet authors at the Loft or browse Milkweed’s selection of nationally-praised publications. It’s also, though, a center for its neighborhood community. It’s a polling place, it hosts theatrical productions, and neighbors come from areas like the nearby Cedar-Riverside community—home to many Somali immigrants—to join book clubs or take classes. Open Book is … a center for its neighborhood community. It’s a polling place, it hosts theatrical productions, and neighbors come from areas like the nearby Cedar-Riverside community—home to many Somali immigrants—to join book clubs or take classes. Nearly 20 years ago the three founding partners got together and made the case that securing a center for the literary arts was an investment that would pay off. Together, the partners raised $8 million to buy three standalone buildings that were then unused, and undertook to turn them into what became Open Book. “There are only so many towns where you could raise that kind of money for a literary center,” observes Slager. There have been some setbacks along the way. When Open Book first opened, it featured a 3,000-foot retail space operated by Ruminator Books—a bookstore, across the river in St. Paul, that was a beloved institution. 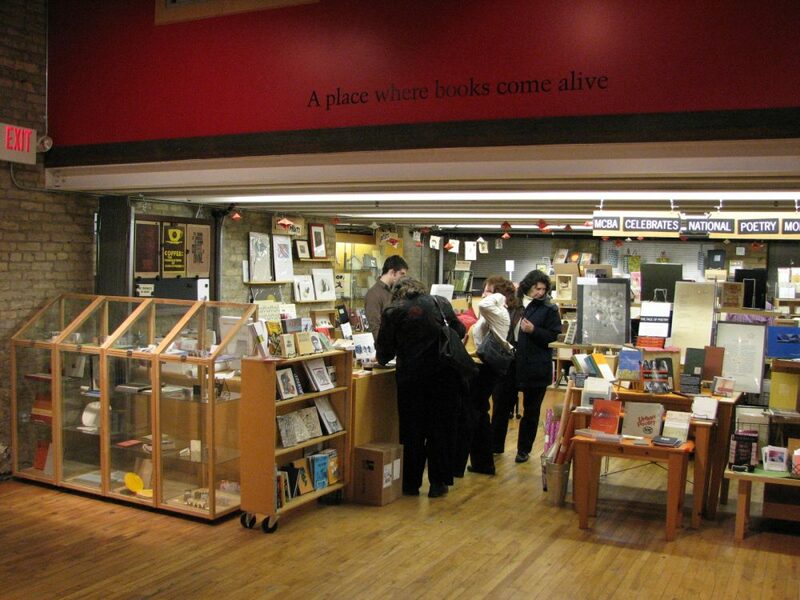 Sales at the Open Book space were disappointing, though, and the cost of that failed venture sped the demise of not only the Minneapolis store, but Ruminator’s original St. Paul bookstore as well. Last year, Milkweed decided the time was right to open a bookstore in the Open Book space again—albeit on a smaller scale this time. Sales over the winter were slow, says Slager, but they’re starting to pick up. Open Book is a case study in the power of space: The inviting facility is a gathering place and an inspiration for the literary community. It’s also a testament to the benefits of collaboration, and to the wisdom of investing in real estate when it remains affordable. Jay Gabler, a writer based in Minneapolis, is a digital producer at Minnesota Public Radio’s The Current and a co-founder of The Tangential.